Taquile is an island on the Peruvian side of Lake Titicaca 45 km offshore from the city of Puno. About 2,200 people live on the island, which is 5.5 by 1.6 km in size (maximum measurements), with an area of 5.72 km². 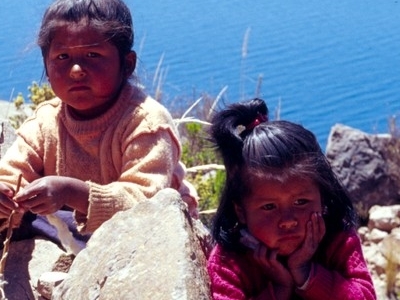 The highest point of the island is 4050 meters above sea level and the main village is at 3950 m. The inhabitants, known as Taquileños, are southern Quechua speakers. In 2005, "Taquile and Its Textile Art" were honored by being proclaimed "Masterpieces of the Oral and Intangible Heritage of Humanity" by UNESCO. 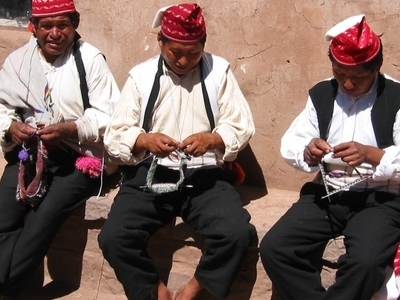 Taquileños are known for their fine handwoven textiles and clothing, which are regarded as among the highest-quality handicrafts in Peru. Knitting is exclusively performed by males, starting at age eight. The women exclusively make yarn and weave. Taquileans are also known for having created an innovative, community-controlled tourism model, offering home stays, transportation, lodging for groups, cultural activities, local guides and restaurants. Ever since tourism started coming to Taquile in the seventies, the taquleans slowly lost control over the mass day-tourism operated by non-Taquileans. The local Travel Agency Munay Taquile has thus been established to regain control over tourism. 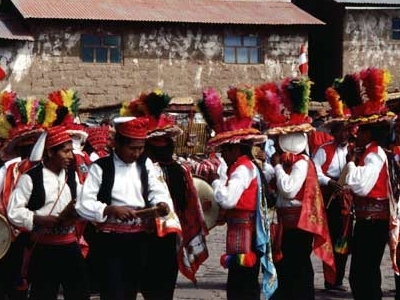 Taquileños run their society based on community collectivism and on the Inca moral code ama sua, ama llulla, ama qhilla, (Quechua for "do not steal, do not lie, do not be lazy"). The island is divided into six sectors or suyus for crop rotation purposes. The economy is based on fishing, terraced farming horticulture based on potato cultivation, and tourist-generated income from the approximately 40,000 tourists who visit each year. The wildlife on Taquile includes rams, sheep, cows, Guinea pigs, chickens. Dogs and cats are rare and if wanted a permission from the authorities of the community is needed. Taquile also offer a wide range of typical dishes. Breakfast consists of two pancakes with sugar or bread with eggs with a cup of tea made from either Muña or Coca. For lunch, you get a vegetable soup, fish with rice and a tomato and onion salad. For dinner, the taquilean people serve a nice vegetable soup with bread. Here's the our members favorite photos of "Islands in Puno". Upload your photo of Taquile Island! Vista Adventures is the only Touristlink member to visit Taquile Island. Have you been here? Click here to save it.